In the eight years that she lived in Amsterdam, Lyubov Matyunina (1985, Kaliningrad, Russia) observed how the city changed from culturally-oriented to market-driven. She noted that artists often play a central role in gentrification processes but eventually have to clear the field. Could artists also permanently fulfill social functions in neighbourhoods, she wonders. And, could city development not only be profitable to the market, but also to the creative sector? 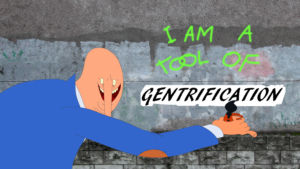 These questions form the starting point for a series of experimental documentaries in different parts of Amsterdam in which Matyunina investigates the complexity of gentrification, but also speculates on positive alternatives for the art and artists. The Amsterdam-West edition will focus on broedplaatsen like Lely and WOW and analyses the functioning of theses place in neighbourhoods were housing price are rapidly rising. 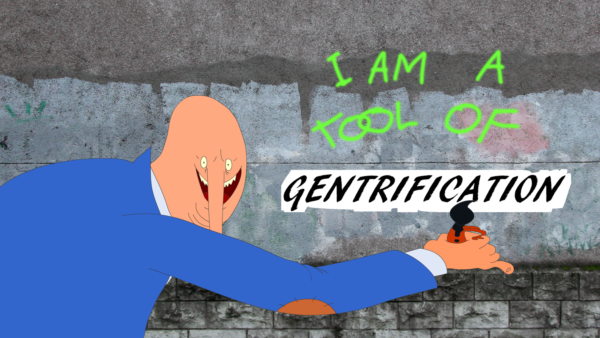 I am a tool of gentrification. 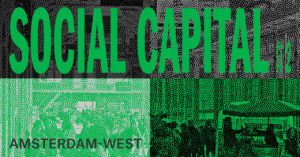 West will have its premiere as part of Social Capital #2 Amsterdam-West in Broedplaats HW10 on Thursday May 23 at 19.30. 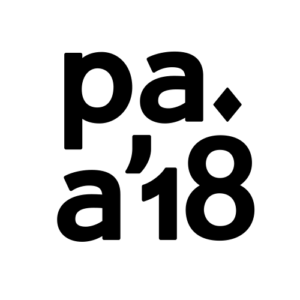 The three editions about North, Centre and West will subsequently be on view at LIMA in the exhibition space of LAB111, from May 24 to June 30. Read more about Social Capital #2. Amsterdam-West.